• Why would we build a bridge? We just made our last payment on the moat. • Moving to an island and complaining about the lack of a bridge is like moving next to a farm and moaning about the smell of manure. • The engineers say it won’t work — not that we’ll believe them if we don’t want to, as is so often the case when it come to answers we don’t like. We prefer what Stephen Colbert calls truthiness, the truth as we would like it to be. The bridge question is like measles, the Klan, ISIS, or Boris Johnson. Just when you think it’s eradicated, back it comes. That’s why the Transportation Ministry keeps dragging out a document explaining why the various options for spanning the strait wouldn’t work. Why not a West Coast version of the Confederation Bridge? Because where the P.E.I.-New Brunswick link is 13 kilometres long, ours would be up to twice that long. More importantly, the supports for their bridge rest on solid rock just 35 metres below the surface. Out here, the bottom is softer than Trump’s and is up to 365 metres deep. A floating bridge? As of 2015, there were 11 floating highway bridges in the world, but none longer than 2.3 km or in water deeper than 100 metres. Ours couldn’t be anchored safely. 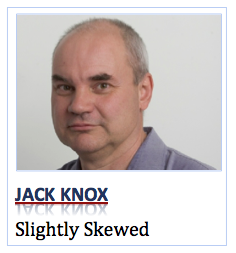 The cost of a fixed link? Roughly $15 billion, too much for the province to take on alone — but bringing in the private sector would mean tolls, estimated several years ago at somewhere between $180 and $800 one way. There’s also the question of where to locate a crossing. 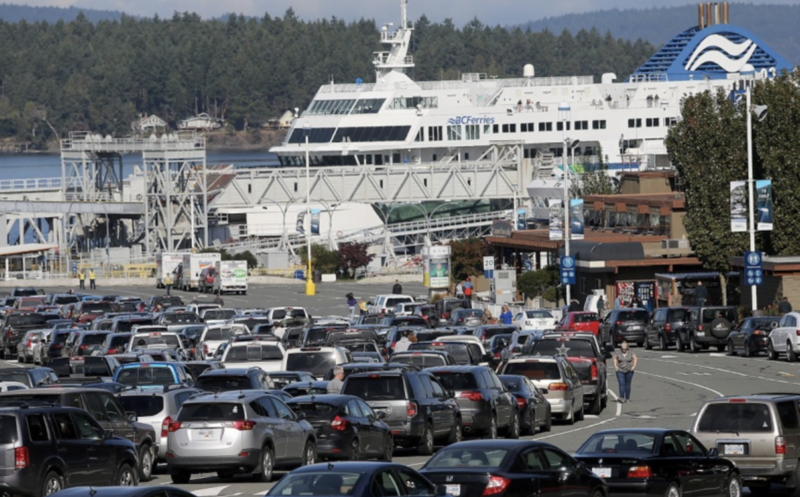 The most likely options would involve island-hopping to somewhere between Duncan and Nanaimo, meaning a drive over the Malahat, which has its own issues — not that everyone likes the engineers’ answers there, either. The Malahat faces three problems: safety, capacity (the highway’s ability to handle up to 30,000 vehicles a day) and reliability (the frequency with which crashes close the only artery connecting Greater Victoria to the rest of the Island). All three problems have been studied to death by the Transportation Ministry, most comprehensively in the 2007 Malahat Corridor Study (you can Google it), which methodically dismantled all the proposed solutions (trains, ferries, bridges, widening or double-decking the highway through Goldstream Park) and left the impression that the most realistic answer to the reliability question would involve a route (including one option along the E&N corridor) west of the existing highway — an idea that alarms those who fought so hard to protect the watershed for its ecological values. With the ministry looking at the alternative-route question (and having begun yet another south Island transportation study) the CRD board went on record this month as opposing any public road through the watershed or the Sooke Hills parkland. Instead, water and parks board directors have suggested the ministry look at things like bus lanes, speed cameras, trains (again), ferries (again) and medians. Those might address the capacity and safety issues, but have nothing to do with figuring out where to divert traffic when the highway is severed. Trying to solve the reliability problem with bus lanes and trains would be like trying to cure appendicitis with a leg splint. It’s fine for politicians to choose the environmental integrity of the watershed over the needs of travellers stranded when the Malahat is severed (which doesn’t happen as often as we think). It’s one of those value judgments politicians are elected to make. And hey, if they have a preferred idea, like a $1.2-billion bridge to North Saanich, push it. But don’t keep throwing the same questions back to the engineers in the hope they’ll give you an answer more palatable than the one they already gave you.